Sleek 4pc set ready to complement any outdoor area! 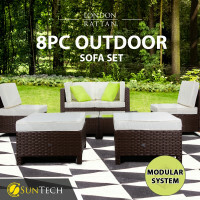 Experience paradise in your patio or backyard. 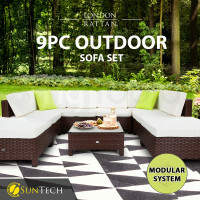 Enjoy the sun while curled up on a super stylish outdoor chair. 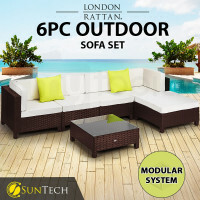 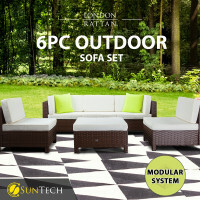 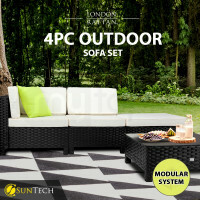 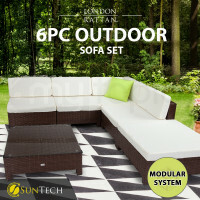 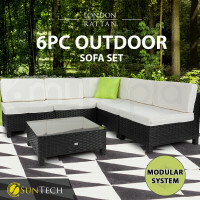 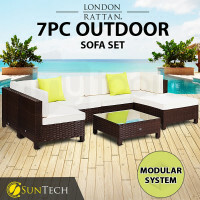 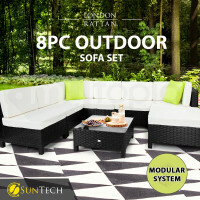 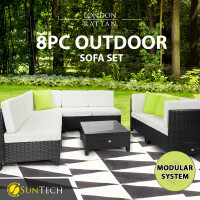 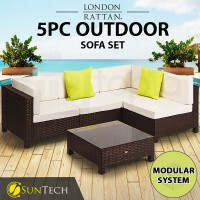 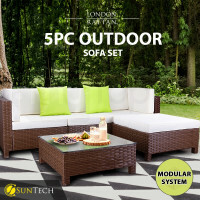 Invite your friends, savor refreshing drinks and feel the comfort that London Rattan Outdoor Lounge Sets offer. 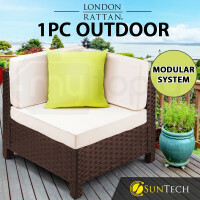 Whether for relaxing, reading or sleeping, London Rattan has the best outdoor furniture to suit your need. 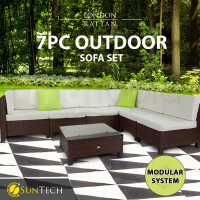 Add style to your garden and to your entire home. 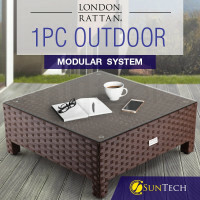 Perfectly suited for any outdoor space, each London Rattan item promotes contemporary minimalist European design that will definitely enhance the beauty and the aesthetic value of your place. View the extensive range of the other London Rattan best selling outdoor products and have the arrangement that will fit in with the design of your house in no time. 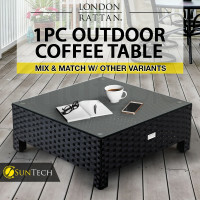 Available in three colours - black, brown and coffee, these outdoor furniture are being offered at Mytopia individually or as a four-, six-, five,-, seven-piece set. Known for offering high quality products, London Rattan ensures that every outdoor piece included in the line was made from heavy-duty steel frame and designed to feature a UV-resistant suntech wicker as well as a height adjustable feet for perfect stability. 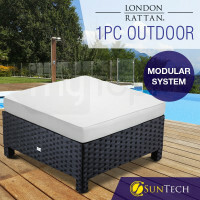 To withstand temperature and weather changes, the lounges also come with water-resistant and machine-washable covers as well as premium high-density cushions; assuring customers that all these could be used for a long time. 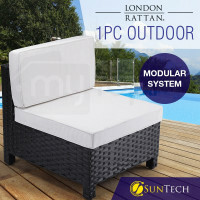 To better enjoy the view from your backyard and save yourself from the harmful UV effects outside, check out Mytopia's Outdoor Umbrellas and Gazebos. Available in different designs, sizes and colours, you can surely have a relaxing day while sitting comfortably on your London Rattan Premium Sun Lounges and other furniture. What are you waiting for? Make your garden or patio more inviting than before. 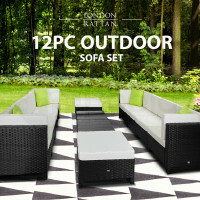 Visit Mytopia and order any of our top-of-the-line outdoor items and get a 12 month warranty on us!